One of the most difficult decisions for teachers working with children with special needs is grading students. This process presents a dilemma for all educators. If we use traditional competitive grading systems then students who try, participate, finish assignments but because of their disability fail tests will receive a failing grade when compared to their peers. This type of approach may lead to frustration, loss of motivation, parent frustration, and a “why bother attitude” on the part of the child. On the other hand, grading students solely on attitude, effort, accountability, responsibility etc., despite failing grades, may mislead both parents and students into setting unrealistic goals. This form would be for Monday, Tuesday, Wednesday, Thursday, and Friday school days. 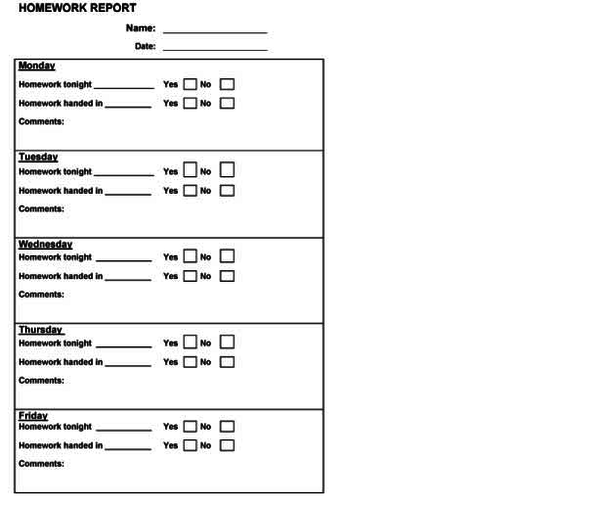 These types of daily records will reinforce the child’s accountability and assist the parents in working with the child at home. When you meet with the parents at the beginning of the year explain that they should expect this home every night. 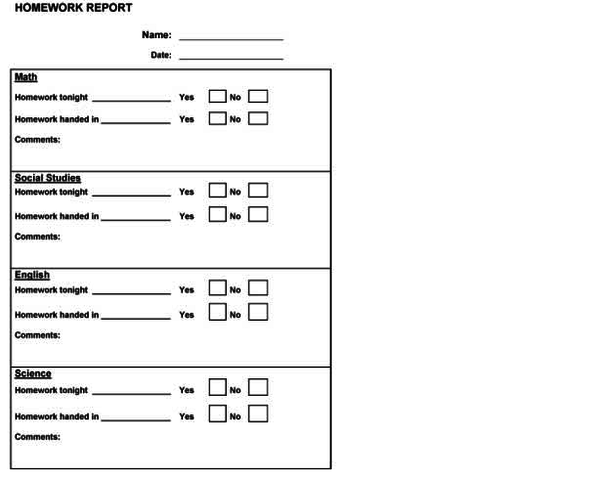 Such Progress Reports are important sources of information on the child's learning at school. Do not be afraid to tailor such reports to specific behaviors if they are required and necessary to facilitate positive outcomes. More detailed reports focusing on academic achievement, social abilities, cooperation, etc. should be done monthly with children with learning disabilities. However, have a policy that allows parents to request an interview with you at any time throughout the school year. Provide a system of communication home on regular basis providing positive information, suggestions, solutions to issues you have noticed, or just to see if the parents have any concerns. Using this type of approach will facilitate the closeness with the school and facilitate your educational plans discussed later in this section. The specific type or types of grading systems for children with special needs should be chosen with sensitivity and a plan to improve self esteem, not discourage or reinforce feelings of inadequacy.